FLOORED: Everton were massively out of their depth against Spurs. Since Farhad Moshiri became the major shareholder in Everton football Club we have had four transfer windows with an unprecedented amount of money spent on signings which in the main have been average at best and in many cases downright disasters. 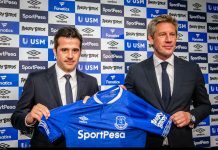 The first transfer window of the Moshiri era saw one major signing in the shape of Ronald Koeman as the club’s new manager replacing Roberto Martinez. Koeman had a checkered career managing in Holland, Spain and Portugal. But he had done a good job at Southampton and knew the Premier League. But did he have all the credentials to push Everton into the Champions League places or even make the top 6. The calamitous start to the 2017-18 season and the way he treated some players Niasse, Barkley etc all pointed to no as the answer. Also brought into the club in the summer was Steve Walsh from Leicester city as Director of Football. Did the Board consider that Walsh and Koeman might not work together? It soon became clear that they had a somewhat distant relationship, which only added to the confusion and bad signings. Under Koeman in the first transfer window Everton brought in 31 year old Ashley Williams for around £11million from Swansea City to help at the back. In essence this signing increased the age of an aging back line, which already included Jags and Baines. Williams was a player beginning the final part of his career and was in decline even with his god performances at Euro 2016. Since joining the club has been under average at best and surely was not a good signing. Also brought in was 27 year old Yannick Bolasie for £25 million from Crystal Place. A hit and miss winger who on his day is great and at other times is non-existent. Bolasie‘s scoring record was and still is very poor and at the price Everton paid for him was completely over the top. A bad injury in December 2016 saw him out for a whole year as well. 33 year old Maarten Stekelenburg was also signed for an undisclosed fee from Fulham (rumored to be about a million). The goalkeeping position needed overhauling and we signed an aging 2nd choice goalkeeper from Fulham. On the plus side Gana Gueye was signed from Aston Villa for £7 million and young striking prospect Dominic Calvert-Lewin from Sheffield United for £1.5 million Gana has been a great signing and a heart beat of the midfield while Calvert-Lewin is a good prospect. But £37 million spent on Williams, Bolasie and Stekelenburg who have not really shown anything equals wasted money. Two major transfers came in this window. One was Koeman favourite Morgan Schneiderlin. Schneiderlin had performed well for Koeman at Southampton but not to the heights that many pundits seemed to think. His £25 million move to Manchester United was a disaster and he hardly ever played but sure enough we stump up £20 million rising to £24 million with add on’s for a United reserve. I was never on the Schneiderlin bandwagon like a lot of Evertonians seemed to be. Yes he was good at Goodison in our great run post Christmas but anyone could have shone in his role at Goodison during that post Christmas run. Where was he at away games, missing in action like all of the team. Come to this season and we have the real Schneiderlin, he has been awful and the training ground incident along with Kevin Mirallas sums him up. Never worth £20 million and a major disaster as a signing more money down the drain. We did bring in 19 year old winger Ademola Lookman from Charlton Athletic for £11 million. A bright young prospect he has deserved more playing time but has never got it and is at present on loan at RB Leipzig. It is to be hoped that we will see more of him in a blue shirt next season and not plying his trade somewhere else. This was the big window when the club went on its biggest ever spending splurge (although we did sell Rom to Manchester United for what now is an incredibly cheap £75 million with £15 million of add on’s). While mentioning Rom one of the summer signings on a free as part of the Rom deal was the return of Wayne Rooney. He may have come on a free but his wages are around £150,000 a week, so not that cheap. Rooney at 32 was essentially a bit part player at United yet we took him back, why? He has had some good games for us but not that many and against the better teams the midfield role he now has only expose him as slow while he is not a forward anymore. Three big signings during this window were Jordan Pickford £30 million, Michael Keane £25 million (could rise to £30 million) and Davy Klassen for £23.6 million. Out of these three players Pickford has been a resounding success and could well be England’s number one at the 2018 World Cup. We have a top class young goalkeeper who will only get better and who could be between the sticks for the next decade and has been our best player this season. But Keane and Klassen are different stories. Midfielder Davy Klassen was Ajax Captain and a Dutch international when signed and only 24 years old. But it is fair to say that when played he has lacked the physicality and speed for the Premier League. More worryingly his performances in the Europa League were not up to scratch either. Some Evertonians are still keen on giving Klassen a chance but I think this is a transfer that has clearly not worked and we need to cut our rather large losses. Then we come to Cuco Martina a right back who was nowhere near the Southampton team we signed him from on a free. Martina is a not very good right back, championship level at best, who has had to play left back for most of the season, what more needs to be said !!!!!!! Other signings during this window have been young forwards Sandro Ramirez, Henry Onyekuru and winger/forward Nikola Vlasic. With a steller season up front for Malaga and with Athletic Madrid eyeing him up Everton met the cheap bye out clause of £5.2 million to bring Sandro to Goodison. Like Davy Klaason it has just not happened for Sandro and he has found it hard to get to grips with the pace and physicality of the Premier Legue. Sandro is now on loan back in his homeland with Seviila. Was he given enougth game time ? What is clear is that when he did play he just did not seem to be able to handle the Premier League. From the sounds coming out of Spain I believe we have seen the last of Sandro in a blue shirt. At least we should be able to get our money back on him. Onyekuru seems one bought for the future and Everton beat off a number of clubs to get his signature for £7 million. He scored a lot of goals for Eupen in the Belgium top flight last season was loaned back to Belgium and Anderlecht for this season. He was doing well for Anderlecht until injury curtailed his season. Hopefully he will turn out to be a good investment next season, but it is wait and see on this one. Brought in on deadline day for £10 million was 20 year old Croatian winger/forward Nikola Vlasic from Hadjuk Split. He got some game time at the latter end of Koeman’s reign and looked impressive but has hardly had a look in since. Like Lookman he has been badly handled by the club. Finally we made Gylfi Sigurdsson our most ever expensive import. 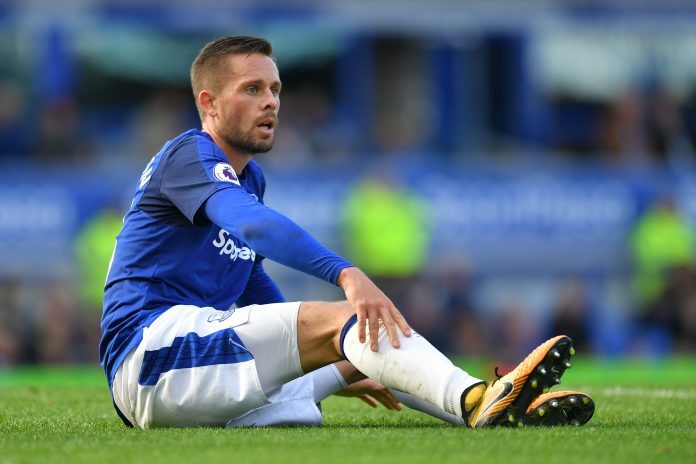 Sigurdsson is a proven Premier League player and set piece and dead ball specialist but I’m not certain what else he brings to the table. Even in todays crazy transfer market £45 million seems excessive for him. He has put in a few good performances and scored a few great goals. But can we really say he has been worth the money or is a long term option for the future? Debate can rage around his best position in the team but in my opinion he is no more than a good Premier League player at best. So with two young wingers in Lookman and Vlasic not getting a look in what do we do, we go and sign a 28 year old Arsenal reserve in Theo Walcott for £20 million. A player who is quite injury prone and has never really hit the heights since he burst onto the scene over a decade ago. Ask yourself is Walcott an elite or semi elite player who can be part of the clubs future? The answer for me is a resounding no. We also have Cenk Tosun signed for £27 million from Besiktas in Turkey to fill our gaping Rom hole up front. If you pay £27 million for a striker you would expect them to be ready to go, not having to come to terms with the speed and physicality of the Premier League as Sam Allardyce has claimed. Finally not a transfer window signing and not a player but our new Manager Sam Allardyce. Why would anyone want a dinosaur like this in charge of your team, the fact that we have is appalling. Results and performances under Mr clean sheet speak for themselves. So with all the money spent in the two years since Farhad Moshiri came to the club we have had two successes Jordan Pickford and Gana Gueye and have four young players who have the potential to be success at the club Calvert-Lewin, Ademola Lookman Nicola Vlasic and Henry Onyekuru. 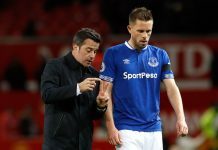 It is hoped we don’t lose Lookman and Vlasic in the Summer. One £25 million player in Michael Keane has been well below the standard we would expect but may still have enough to fulfill his potential next season, the jury at present is out. As for all the rest they are a mixture of has beens, average and down right awful players who will add nothing to the future of the club. 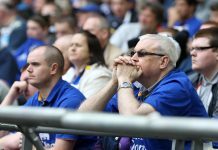 Moshiri certainly has had money to burn and there will be a lot more needed in the summer as this squad needs a total overhaul.